When you are in need of a strong, flexible and cost-effective warehouse facility, choosing a pre-engineered metal building works well for your needs. With the latest technology, metal warehouse buildings are perfect for all kinds of warehousing needs. Metal warehouse buildings are quite durable and known to bear harsh weather conditions, including heavy rains and snowfall. Metal warehouses can even withstand strong winds, fire and earthquakes too. These buildings are resistant to mold, all kinds of mildew, termites and rodents. You can ensure that all products are safe and secured and the buildings can stand for generations, especially if the maintenance is not too high! Oftentimes, these metal buildings are the only structures left standing in the case of major hurricanes and huge storms – a testimony to the longevity of the structure and its durability. The flexibility of metal buildings make it ideal for warehousing purposes. With pre-engineered metal construction, one can design the space with exact specifications. Also, one can opt for reserving space for equipment, machinery as well as the entire inventory in specific areas, while allowing people to move within premises safely. You can even divide the space into offices and even modify the building structure without disrupting routine operations. Metal warehouses are quite cost-effective compared to any of the warehouses made of wood. After providing the warehouse plan, the building components can be delivered directly to the site. There would be no delays while opting for metal warehouse buildings compared to other materials. Also, it takes less manpower to assemble it and one can save on the labor costs associated with different methods. Metal warehouse buildings also take up low general maintenance, and repairs. From the metal roof to durable walls, everything can help quell the risk of fire, pests, and even rust. Insurance companies are also known to reduce policy premiums for such buildings. The construction process can be full of hassles when developing warehouses. But metal warehouse buildings can be assembled and set up quickly with everything from wall columns to roof sheeting completed within half a month. The building can be utilized as soon as possible too. Metal warehouse buildings can be developed with impeccable structural steel detailing services to fit exact needs. A warehouse storage space includes a simple design with the flexibility to change the design to add to the existing structure with no hassles. Metal warehouses promote eco-friendly purposes from beginning to end. Even when the building is not used for business purpose, the construction materials are completely recyclable. Additionally, the metal roof’s reflective coating stops the absorption of ultraviolet rays and reduces the cooling bill by nearly 50%. They also include vapor barriers at the roof to keep warm and cool air within the building. Such spaces are ideal if one expects to house expensive machinery that needs a fixed temperature for optimum operations. 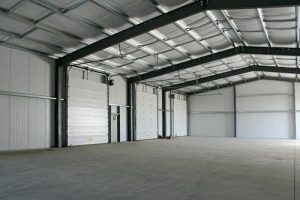 The above list of benefits of metal warehouse buildings ensures outlining of the importance of these structures and the benefit it will give in the long run. Previous Previous post: Choosing The Right Structural Steelwork Company That Won’t Let You Down!